With over 20 years of experience in sales, marketing, and top-level negotiations, Nick is effective with his skills in managing a real estate office. He is currently a Broker/Owner of a Real Estate Firm consist of top sale Professionals serving the dynamic & diverse communities across the 9 counties in the Bay Area where he recruited, managed a sale team as large as 90 agents. He has a wealth of knowledge and insights across different real estate markets including Residential, Commercial, Development, Property Management, Mortgage and private Lending. 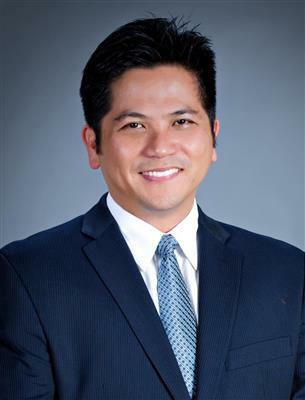 Nick Pham began his real estate career in 2002 as one of the first few members of the Intero Real Estate sale team, where he had the opportunity to learn and grow with the best of the industry. He quickly became a consistent top producer, and consistently maintained his top 10-25% ranking out of 2000+ Agents. He was a major contributor to the development of the AgentAchieve, leveraging his technology and management background to help create a comprehensive productivity tool for Sales Associates. Prior to becoming a full-time, Broker/Realtor, he spent 12+ years of his professional career in the High-Tech company Ranging from startup to Fortune 500 companies, holding various positions in Engineering, Marketing, Sales & Management. He is currently serving City of San Jose, where he is serving as a Planning Commissioner, where he has the responsibility of making decisions/recommendations to the City Councils of land use, redevelopment plans for the future development of the City, according to its General Plan and Policy. Nick believes that he is presented with a great opportunity to work together with community leaders & professionals to help homeowners in this dynamic market. Nick is a graduate from Mountain View (Awalt) H.S. and San Jose State University Alumni. He is currently residing in San Jose with his family. He is also bilingual in English-Vietnamese.